Another busy morning at preschool. Today the children were cutting out shapes and sticking them on to paper continuing our shape activities. Good scissor action helps to build strength in children’s hands to develop pencil control. A “bus” was also created using chairs and a tambourine as a steering wheel. 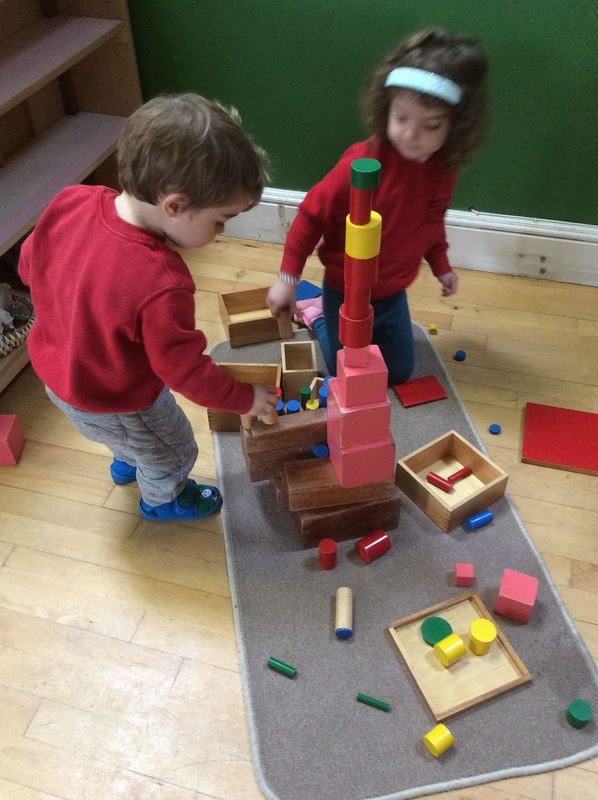 Some of the children made an elaborate tower using the Montessori blocks. 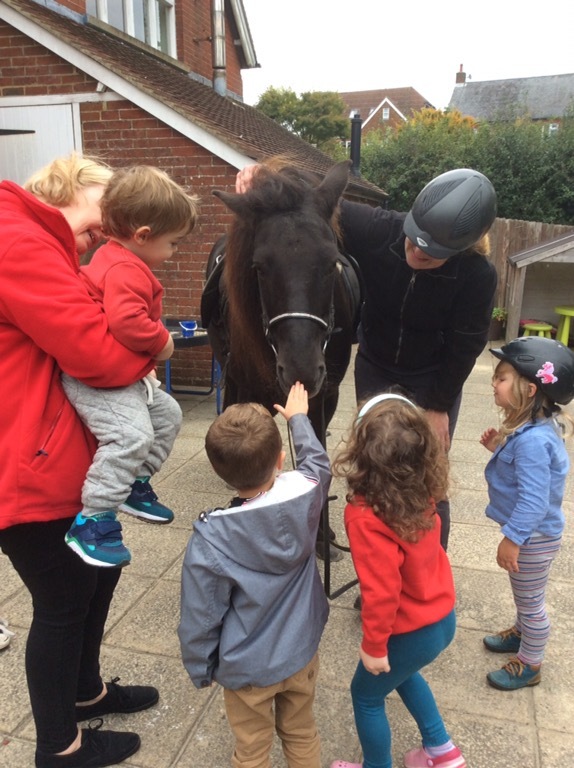 The most exciting part of the morning was Alex (Martha’s Mummy) bringing Martha’s horse to preschool. 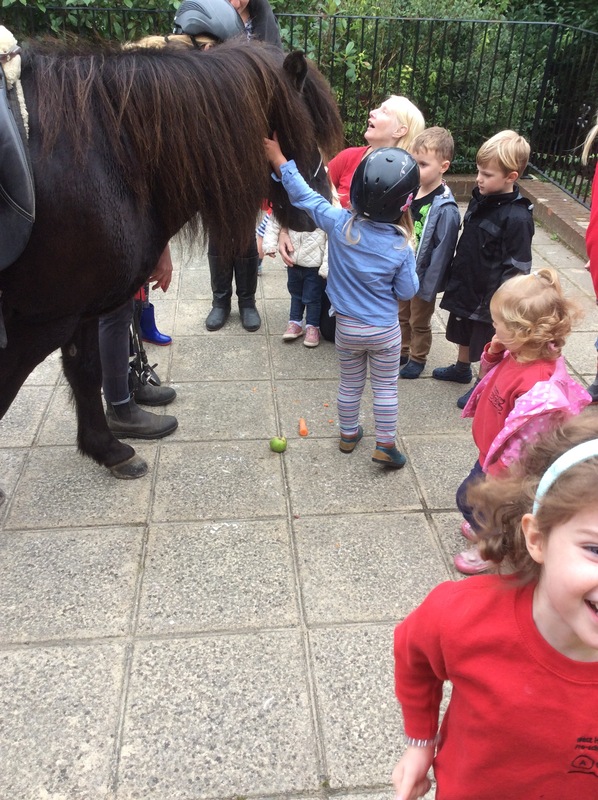 The children asked questions about what he ate, and also helped to feed him apples and carrots. When we got back inside we talked about how many legs he had and what colour he was. If we could remind parents to bring in waterproof jackets, indoor and outdoor shoes. We still like to get outside even if it’s a little wet.